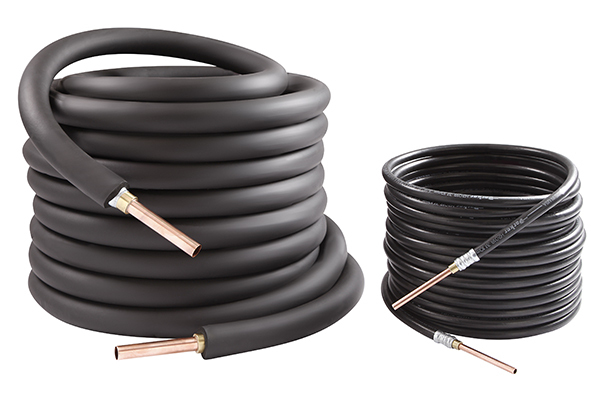 ZoomLine® flexible tubing replaces copper lines in refrigeration and air-conditioning applications. It is light, flexible, and repeatedly bendable without work-hardening. It is easy to install, vibration resistant, and provides vibration dampening. ZoomLine, like copper, is used in commercial and residential applications. However, it fits best with commercial applications with longer line lengths and a multitude of braze joints that can be eliminated, and faster bending saving time and money allowing more installs or service calls. Click here to view ZoomLine – Catalog J.